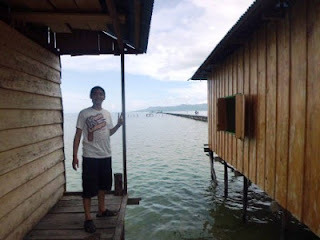 This is the story of our first experience in exploring Seram Island. Literally the word 'seram' in Bahasa Indonesia means scary. In fact, the island is not as scary as the name. It's very wonderful instead. 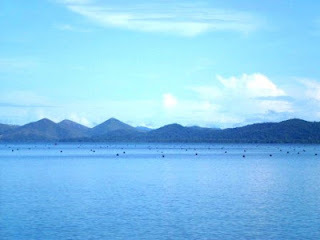 Seram island is the biggest island in Maluku province. 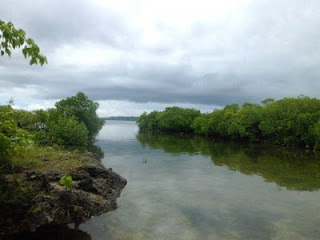 There are two ways to get there from Ambon, either by a fast boat from Tulehu Port or a ferry from Hunimua port. The fast boat would take us to Amahai, near Masohi in 2 hours. The first class costs IDR 150,000 and the economy class costs IDR 91,000. 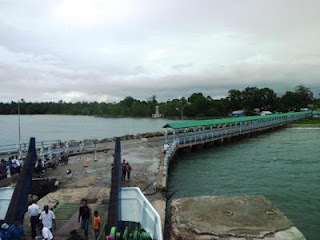 While the ferries operate everyday at 05.30-20.00 with the ticket costs IDR 12,000 (Adult), IDR 9,000 (Child), IDR 26,500 (Motorcycle + Driver). It takes about 45 minutes from Ambon to reach Hunimua port which is located next to Liang Beach. 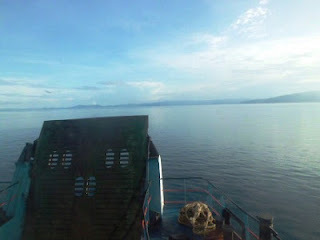 We took the ferry coz we wanted to take our motorcycle with us. 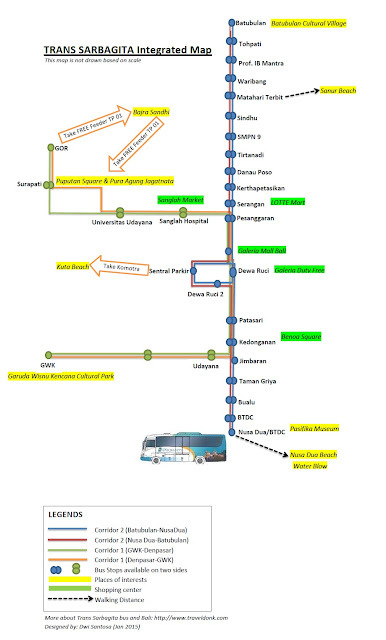 So we paid IDR 38,500 for one way trip. Onboard, we paid IDR 5,000 extra per person for the VIP Room where we got exclusive facilities like TV and non-smoking area with Air-con. 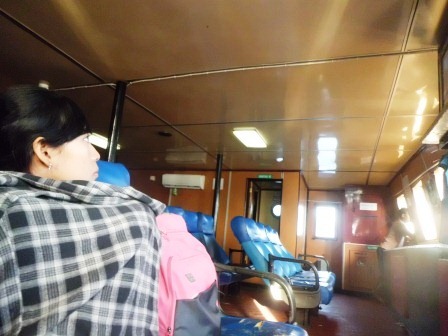 However, not all the ferries have VIP Rooms, just like the one we took for the return trip later. After approximately 1.5 hours crossing, we finally arrived at Waipirit port, Seram. There was a gas station near the ferry port. It's better to fill the tank here before exploring Seram Island, coz we didn't see any other Pertamina gas stations along the journey. You can still buy from retailers across the island, but their gasoline cost 33% higher than the Pertamina price (IDR 4,500 per litter). On the T-Junction just few meters away from the gas station, we turned left. At first, the road was relatively flat. But after passing Kamal, it turned to be mountainous. 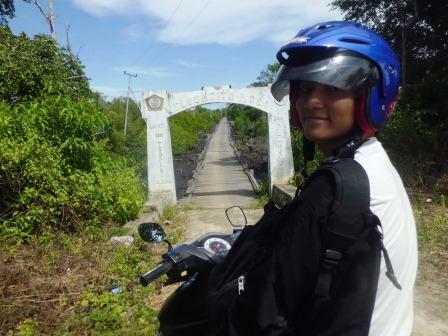 The direction was clear enough to guide us to Piru, the capital city of West Seram Regency. 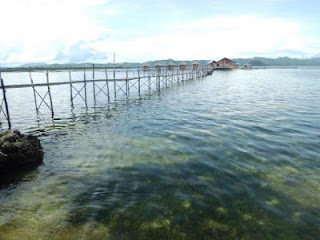 Piru is not a big crowded city at all but it has a good accomodation such as Amboina Hotel. 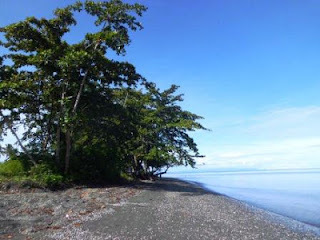 On our way (Waipirit-Kamal), we came by a dark sand beach named Sawau. 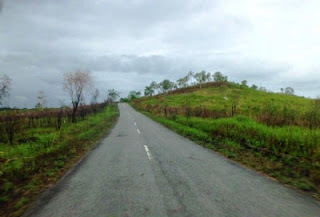 The road from Piru to Pelita Jaya Village was again hilly, but this one was much more attracting. Everything looked very colorful and natural. We stopped the scooter several times to enjoy the breezing air while looking at the incredible scenery. One spot there reminded us to the default wallpaper of Windows XP. I did not have any idea to describe more about the place. Just look at the pictures below and you would get what I was talking about. I didn't use a professional camera and none of the photos below were edited. Fantastic, isn't it? 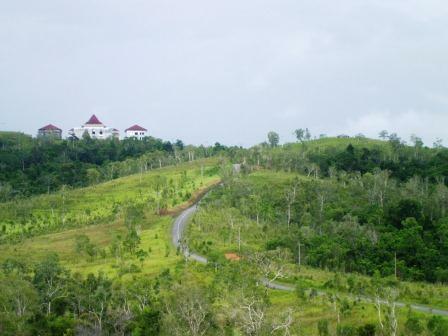 A typical green hill on the island. We could see afar the escalating road we were about to pass. What makes Seram different from Java is the density. No bustling buses and overloaded trucks would bother the trip. 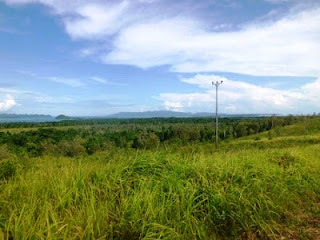 Pelita Jaya is a transmigration village. 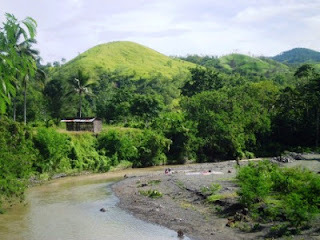 Many people from Java and beyond live here. They are very hospitable to travelers. 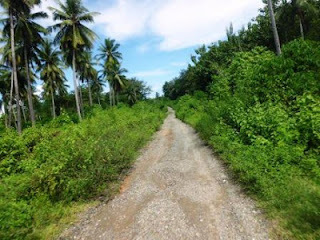 We felt that way when we finally asked for directions toward our destination. Oops! We haven't mentioned what our destination was before. 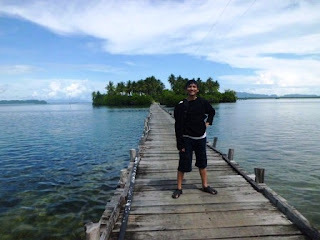 It was Pulau Osi! 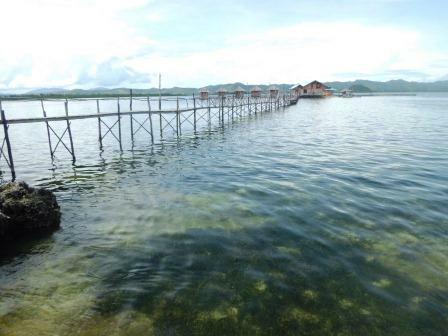 Not so many people (even who live in Ambon) knows about this place. We just knew from an online surfing few months before and we did not regret to come. Pulau Osi was like a dreamland. Besides, the scenery all the way here was very comforting to our eyes. 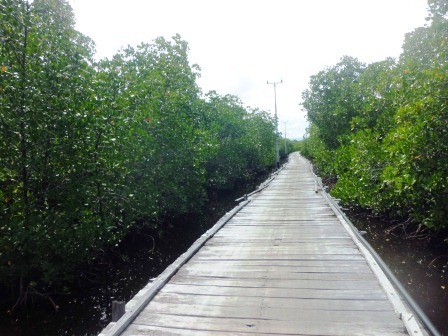 To reach this small island, we had to cross a two-kilometer-wooden bridge in the middle of mangrove forest. On the way, we stopped and took pictures a lot. Every spot here was so appealing to capture. 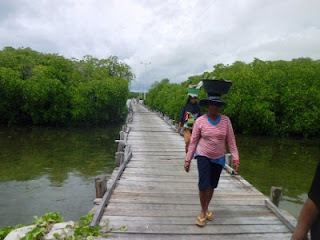 To get into the village of Pulau Osi, we were only charged for IDR 5,000, much cheaper than what I read before in one traveling blog. The village was simply a fisherman village, not a popular tourist destination. At first sight, we could not find any inns, restaurants, and souvenir vendors. But then we asked some villagers and they offered us to have a lunch break. In fact, there was one foodstall. It opens only when there's a tourist. However the price of food here was not so touristy. 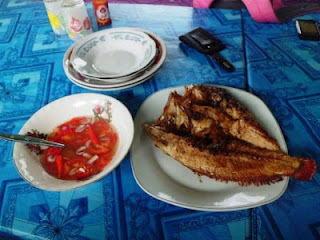 We ate a very yummy grilled fish for IDR 40,000, nett (including rice, drinking water, and colo-colo sauce). This fish was really one of the best fishes we ever ate. We enjoyed eating while seeing the calm of sea. 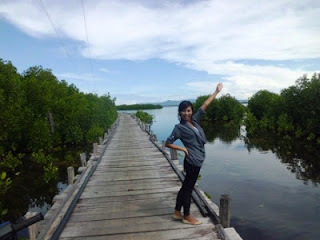 Bridge in the middle of mangrove. The green part looks like an island, but actually it is a group of rhyzophora trees. These women walked all the way to the village while carrying things on their head. 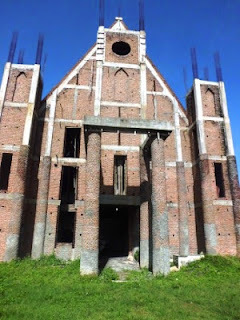 There were no inns inside the village but a nice resort exactly beside the village was being constructed. It would be available at the end of this month. 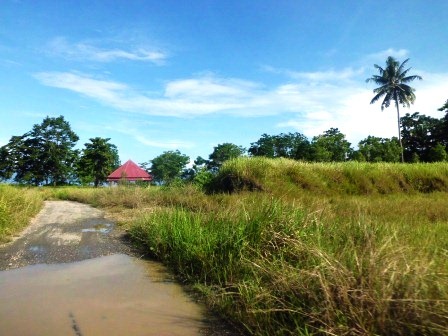 Pulau Osi Village, a very calm and peace place to live. 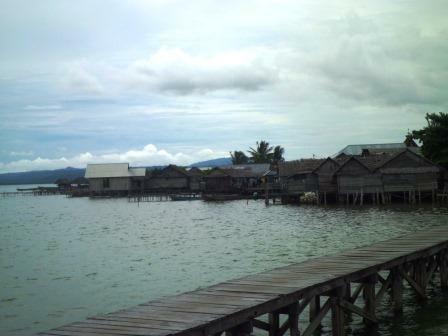 Houses in Pulau Osi Village. Here it is, the most delicious grilled fish ever! Colo-colo sauce (left) would complete the taste. We never see it in Ambon. 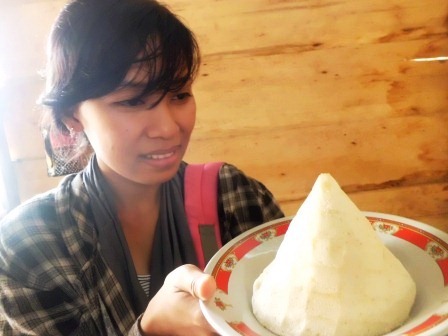 It calls 'suami' (means 'husband' in Bahasa Indonesia), made of cassava. People in this area like to eat this as the main food instead of rice. We had lunch in a wooden house with the opened window so we could see the sea view very clearly. Visitors may order food before coming to this place. 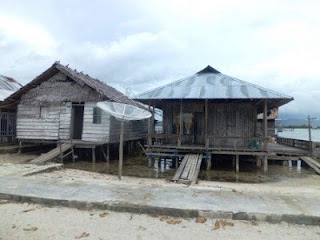 Mama Okan also said she might help those who are interested in doing a homestay in the village. The resort offers five rooms with IDR 300,000 rate per night. Each room is for two adults maximum. Extra person will be charged for IDR 100,000. Breakfast is provided (coffee + tea and snacks). The restaurant is 75% complete. My dear Asian friend, you post intersting photos, thanks. Your English prepositions need an English tutor. How did you manage to rent motorbikes. Some recommendatio? I was working there so I didn't rent a motorbike, but I bought a second-handed one. But if you want to rent a motorbike in Ambon, the only place I know you can do it is in Imperial Inn. You have to be the hotel guest of course.